Teachers, come celebrate National Adverb Day in your classroom. 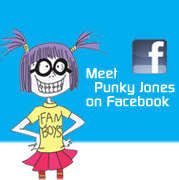 Punky Jones and friends have created skits, lessons, and other activities designed to help your class have fun learning more about adverbs. Click here. What is The Adventures Of Genius Boy And Grammar Girl? It is a comprehensive grammar/punctuation textbook. Although the book is designed for the seventh and eighth grade classroom, it has been used successfully in more advanced groups—even as high as the eleventh grade. 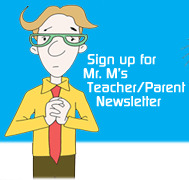 It engages and educates in the classroom. It is 31 chapters of read-aloud story, lessons, and exercises.